A rosy floral. 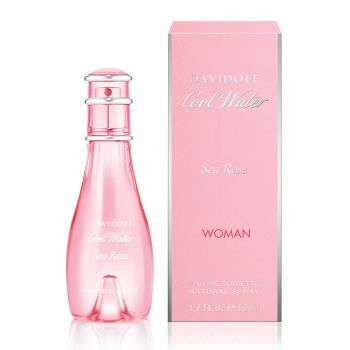 Davidoff Cool Water Woman Sea Rose is Davidoff Cool Water’s latest incarnation of the eternal love story between women and the sea. A pure and innocent mermaid reveals her beauty, like a blooming sea rose in the early morning. Tender and delicate, this strikingly fresh fragrance celebrates purity and spontaneity. Feminine. Delicate. Blooming.